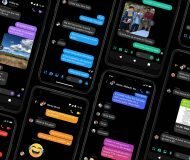 Saurik has released a major Cydia update for jailbreakers. 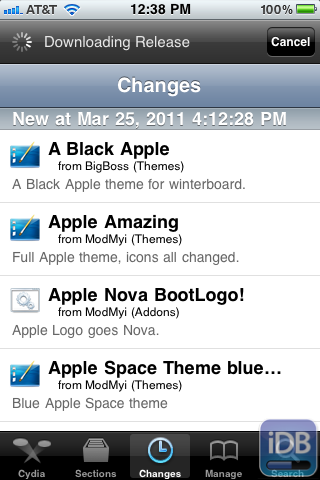 Cydia 1.1 includes many improvements and additions to the already beloved jailbreak store. 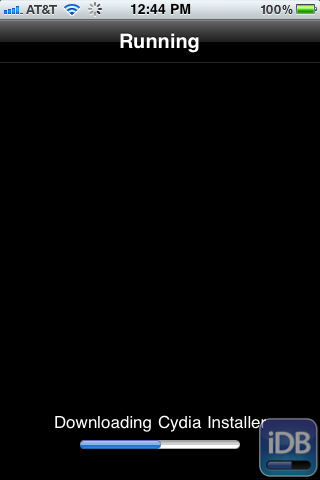 You will see a “Refresh” button in the top left corner. Tap that button and Cydia will begin downloading the new Cydia 1.1 release. 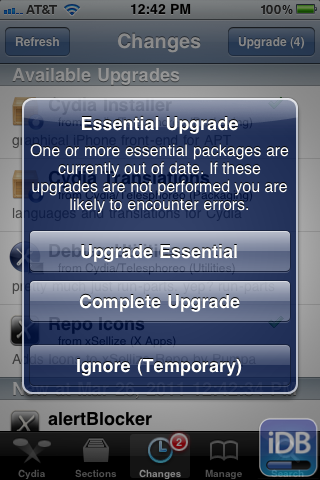 Once Cydia has download and updated its packages, you will be prompted with the option to complete an “Essential Upgrade.” This upgrade is Cydia 1.1. The “Upgrade Essential” option will only install the new version of Cydia, and the “Complete Upgrade” will install all of the changes you have available (for other tweaks, apps, etc.) at once. You will be prompted to confirm the update. 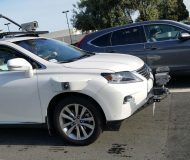 Notice that there are many changes being made at once. Don’t panic about the main sources being removed. Saurik says that Cydia 1.1 removes older default packages, and that these old sources must be re-installed because they are managed differently in 1.1. Cydia will now download all of the new packages for the 1.1 update. Saurik has pointed out that the “1.1 rush” (more than 130,000 users in three hours since initial release) has caused major, third-party repos like BigBoss to be a little slow. If you receive errors from different repos while Cydia is updating, don’t worry. Once their servers stopped getting slammed, everything will be back to normal. Once Cydia is done downloading the 1.1 update, it will prompt you to close Cydia to restart. Simply exit Cydia, and the update will take effect. You should now have Cydia 1.1 installed on your iPhone. You can see if the update was successful or not by looking at your device info at the bottom of the Cydia home page. The most noticeable improvements in Cydia 1.1 are speed, a much improved search mechanism, added language support, and the new “resume where you left off” feature. Cydia 1.1 does not support multitasking. You can read more on what saurik had to say about multitasking and many other issues concerning Cydia. A huge thank you to the team that helped put Cydia 1.1 together! Jailbreaking wouldn’t be anywhere near as fun without the awesome devs that continue to make the jailbreak community a better place. 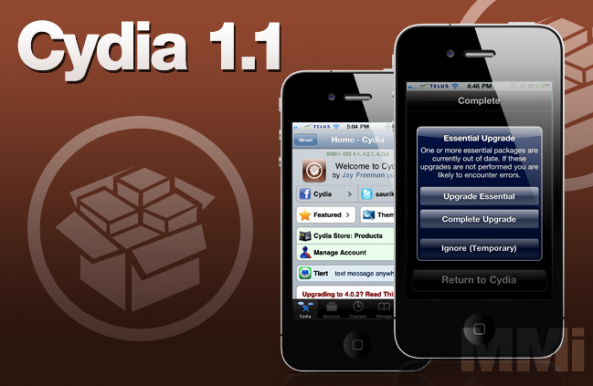 Let us know your experiences with upgrading to Cydia 1.1. Also, we’d love to hear about new features and enhancements you find in version 1.1. Share your stories below!